5 Things I Know About Successful Fat Loss. Fat loss is simple, but not easy. Everyone is different and the biggest battle will be inside your head. The idea to eat less and move more to burn excess calories and hence bodyfat is simple to understand; but once viewed through your perceptions and relationship towards food and exercise, it starts to become much more challenging. Be honest, patient and realistic with yourself and what you need to change. 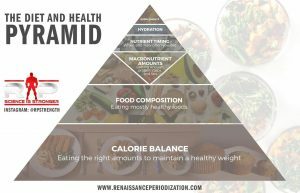 Image blatently stolen from Renaissance Periodisation – superb resource if you are keen to understand the science behind successful dieting and training. Consistency with your nutrition and exercise are the two most important aspects that determine your success with changing your body. Notice I use consistency and not perfection. I think one of the biggest pit-falls I see regularly is this “on-off” approach to losing weight and getting back into shape. That you are either 100% with everything or you just give up and give it zero. THIS WILL STOP YOU FROM SUCCEEDING. Far better to be honest and methodical with your approach. That everything just simply is. 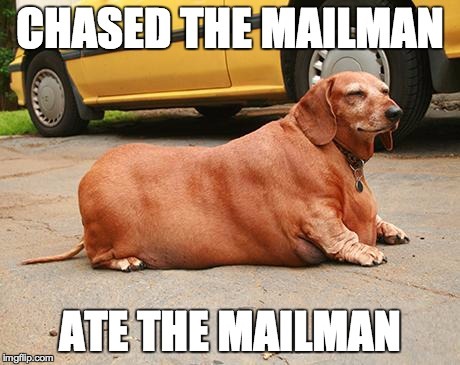 One bad meal decision does not blow your results out of the water, but how you choose to react to afterwards could do. An active body will get results faster than a sedentary one. Seems kind of obvious if you take me at the initial meaning, but stay with with me on this. What I am talking about here is not just your training and exercise, but how you can increase you metabolic rate by choosing a more active approach to life outside of the gym. NEAT or Non-Exercise Activity Thermogenesis, is a mouthful to say, but if pay heed to it, can also help you succeed with your fat loss goals this year. 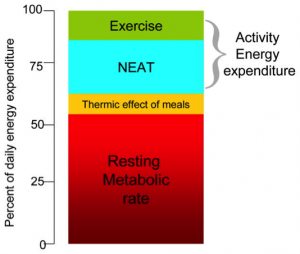 NEAT refers to the energy expended for everything we do that is not sleeping, eating or training. So think fidgeting, walking to work, taking the stairs instead of the elevator, gardening work and playing with the kids as examples. If you aim to build increased activity into your daily habits, you are setting yourself up for the easiest path to sustainable success with your fat loss goals. You need to eat less than you need to lose fat. Another diagram stolen from Renaissance Periodisation – these guys are putting out great, scientifically backed content on a regular basis. Again obvious, but when viewed through the perceptions in point 1, the waters can become somewhat muddied. Something to note though, with ANY approach to fat loss you choose, there will always be a trade-off in terms of advantages and disadvantages. If you choose the route of counting calories as above, it will take some time to learn the skills needed to get portions sizes right and be able to eye-ball (at least somewhat accurately) how much you are eating when out and about. BUT the trade-off is that it is easier to eat a wider range of foods and work in allowances for the foods you love that are not necessarily the best when watching your calorie intake. My two favourites are chocolate and Coopers Pale Ale. 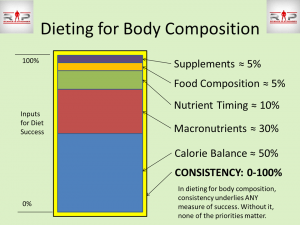 With ANY nutrition approach, maintaining a consistent and appropriate calorie deficit is the single most important thing you MUST do, but there are many different ways to achieve it, each with their own merits and drawbacks. Sleeping well makes EVERYTHING easier. There are hormonal reasons for this, but I think most importantly, you ability to stay consistent with a plan is largely dependent upon how you feel. A little discomfort, challenge and hunger is to be expected, but if you already walk around in a daze feeling like you have been hit by a truck during the night, things are going to be unnecessarily tough. Exercise will feel harder than it should, the feeling of needing comfort food will increase, you overall feeling of hunger will increase and you will more likely reduce you overall movement (less NEAT). Maintain a regular sleep schedule – aim to go to bed and awake at the same times everyday. Control the temperature in the bedroom – having a slightly colder room to sleep in always helps me. Find a good temperature range for you. Resto REM. My secret weapon. I have always been a light sleeper (even as a child, much to the annoyance of my parents). 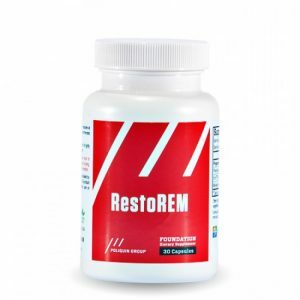 Resto REM contains a blend of melatonin, 5-HTP and phenibut. I take 2-3 capsules around 30 mins before bed and it makes a world of difference for me. I’ll keep some tubs in stock, so if you are struggling with sleep quality and need some help, get in contact and I can get some for you.